This is the first message in a study of the Book of Philippians. To understand this incredible book, we need to understand the author and the theme. As we see in the Book of Acts, Paul had an experience with God that set a foundation to carry him throughout his ministry. April 27th News- New Series! This week we will be beginning a new series called Philippians: Finding Joy in a Broken World. For the next several weeks we will go through the Book of Philippians and discover some incredible truths about joy– truths that can transform every area of our lives. How can we experience joy in a world that is obviously broken in many ways? Is it even possible? The apostle Paul answers that question with a resounding “YES!”– and reveals how we can answer that way as well. This week will serve as an introduction to the Book of Philippians. We will put this letter (Philippians is actually a letter written by Paul to the church in Philippi) into context by seeing how Paul first became a follower of Jesus Christ and then how he became involved with the people of Philippi. To prepare, read Acts 9 and Acts 16… And come ready to discover the way to find joy in your life on a regular basis. We have our dates to serve in the PIN Ministry for 2014. Put them in your calendar and join us! 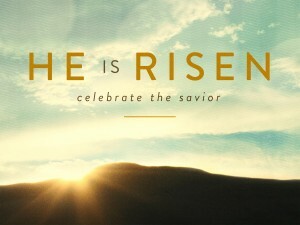 Many times people come to church on Christmas and Easter to remember incredible moments when God connects with his creation in a very special and intimate way. 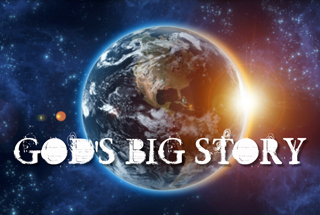 But, really, we are just seeing scenes in a bigger story that has cosmic ramifications. What is that bigger story? In this message we see what Easter means to us and the universe by understanding the reason and results of Jesus going to the cross and rising from the dead. In several places in John 13-17, Jesus refers to a Counselor or Comforter who will come after he has returned to the Father. In this message, we learn about the third person of the Trinity– the Holy Spirit. This week we celebrate the climax or turning point of all history– not just for this world but on a cosmic level. The story of Easter is a story that is much bigger than historical events in Jerusalem around 2000 years ago. It is actually eternal. But for us, we can break it down into four distinct Acts (like a play). As we look at these Acts, we will see that the events surrounding the death, burial, and resurrection of Jesus are the most important, incredible, and empowering for us today! To prepare read any (or all) of the accounts of the crucifixion, burial, and resurrection of Jesus in the gospels– Matthew 26-28; Mark 15-16; Luke 23-24; John 19-20. I also want to remind you that we will have a G2F Potluck Easter Free-for-all after church this Sunday! Everyone is invited… Please bring something to share–food, drinks, etc. 2004 Wood Hollow Cove, Virginia Beach (Baycliffe)… Their house is 2.6 miles from the church– about 8 minutes away by car. If you plan on coming, please e-mail Dale at dlbrowning@cox.net and let her know what you may be able to bring. This week we will continue a new series entitled Promises from the Upper Room. Throughout the “Upper Room Discourse” (that’s one description of John 13-17), Jesus refers to a Counselor (some translations say Advocate) who will come after Jesus has gone away. This Counselor — also called the Spirit of Truth— will be with the disciples forever. 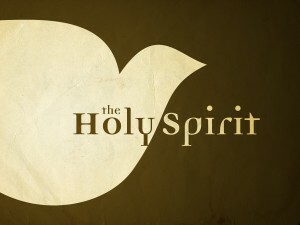 Jesus is telling his disciples about the Holy Spirit– the third person in the Trinity. Sunday, as we remember Jesus riding into Jerusalem triumphantly on a donkey on what we call Palm Sunday, we will learn about the triumphant arrival of the Holy Spirit in the hearts of God’s children. 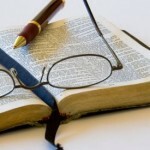 To prepare, read John 14:15-27 and John 15:26-16:16. Looking forward to Sunday! 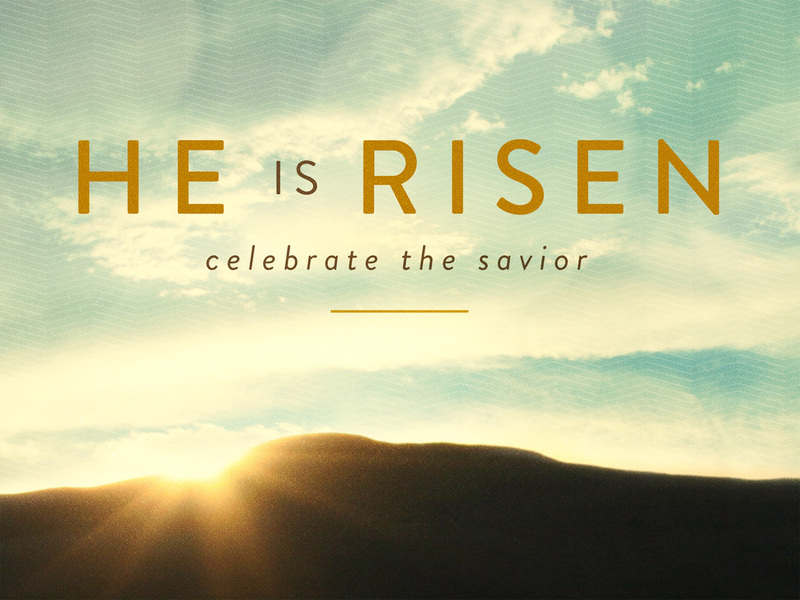 Join us at 9:15 for our Easter Service & Celebration– and invite a friend or family member! 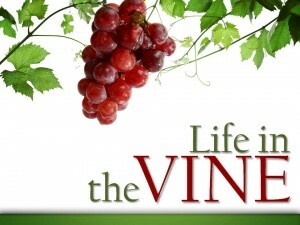 In John 15, Jesus reveals to his disciples how God produces fruit in his followers. In John 15, Jesus uses a vivid metaphor to describe how a Christian can lead a productive, effective, and God-glorifying life. But it stands in a stark contrast to the way the world tells us how we can active these goals. I believe that all of us want to live of life of meaning and significance. How does that happen? Join us as we hear the secret of living an abundant, productive and fruitful life from Jesus-the author of life himself. 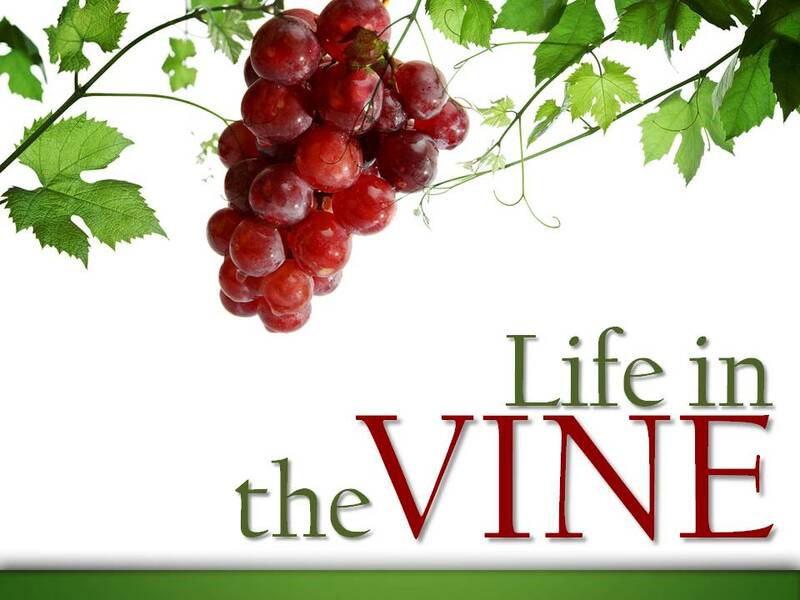 To prepare for this sunday, read John 15:1-8 and learn the Jesus Promises a Productive Life.